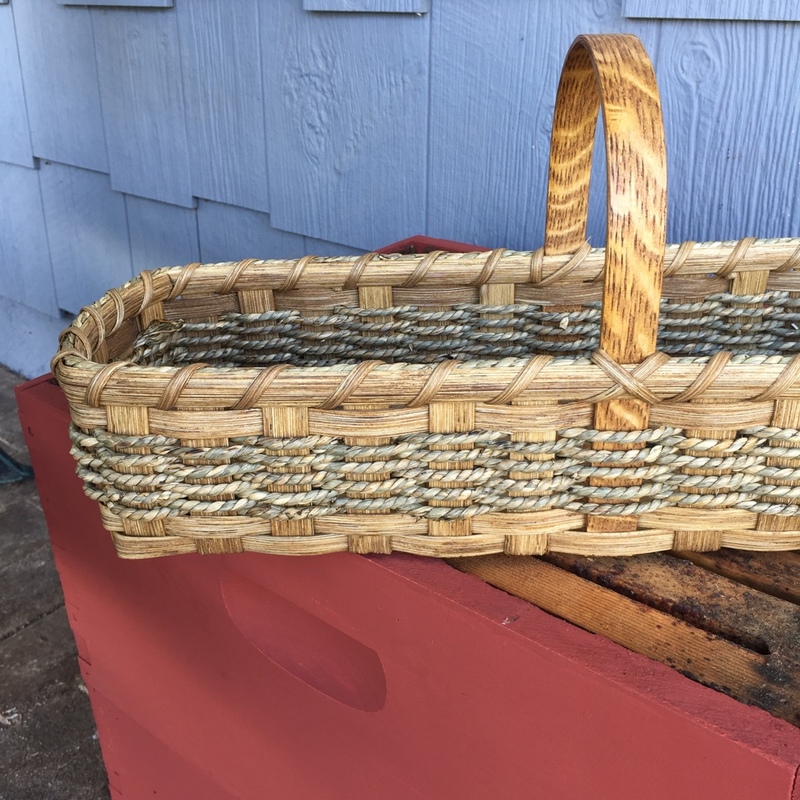 Turning the hobby of basket weaving into a way to make a living has been a fun career. 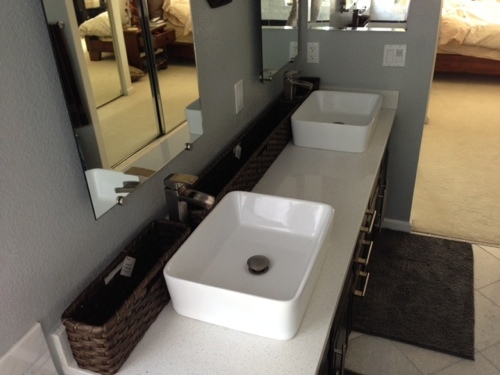 But it’s even more rewarding to see the finished products in the places they were designed for. 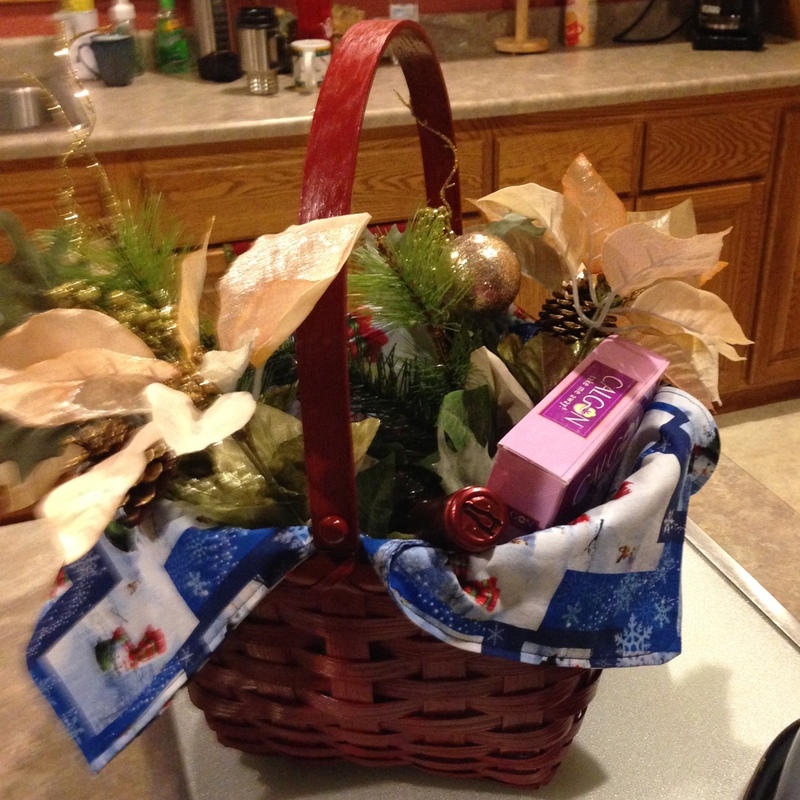 There are five daughters in our family, all in their 20’s and 30’s. 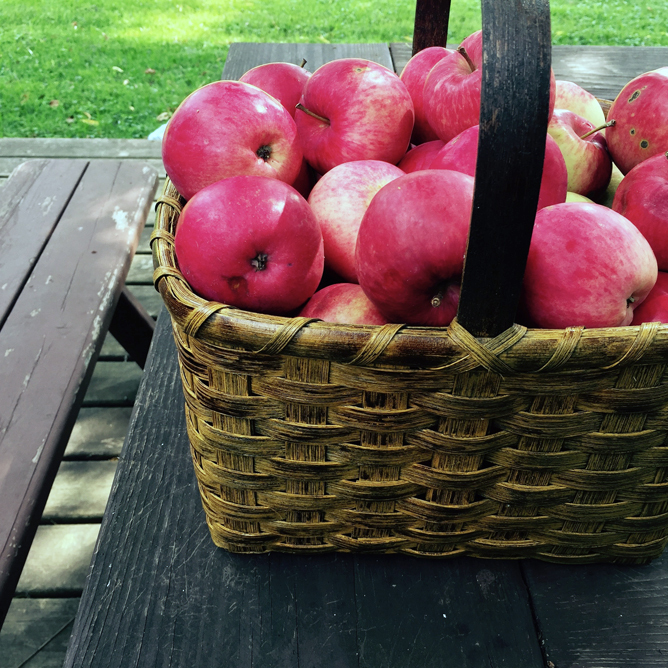 When we all get together, one of our favorite events is to leave all the cooking and cleaning to go find some wonderful shops. 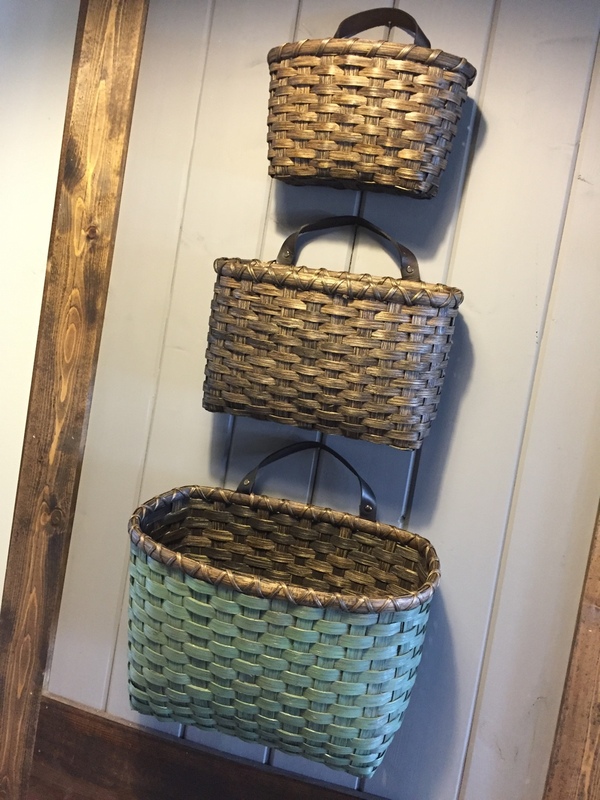 Whether home décor or antiques, we always manage to discover some treasures. 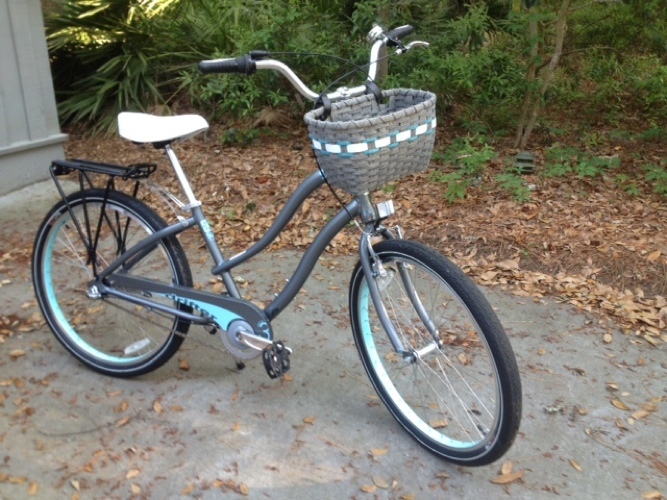 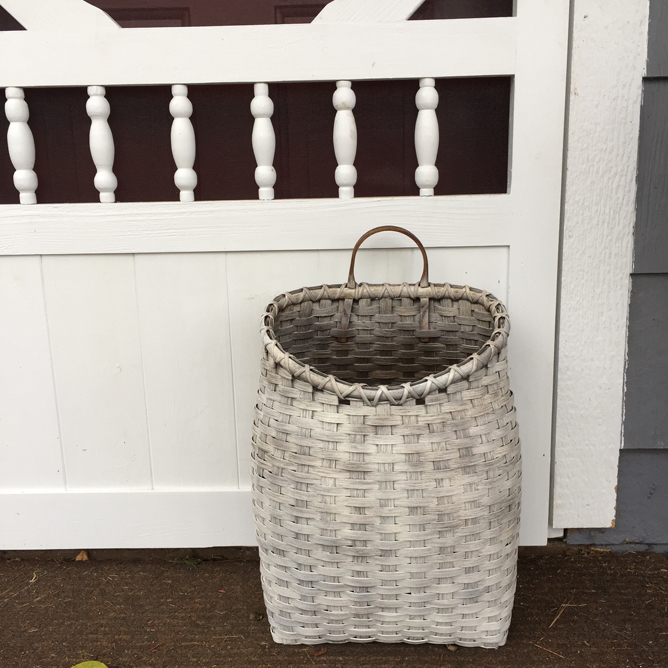 Using our Primitive Market Basket weaving pattern and three-step stain/paint (shabby chic ivory) finishing technique, just look at the final product of her weaving labors ... absolutely beautiful! 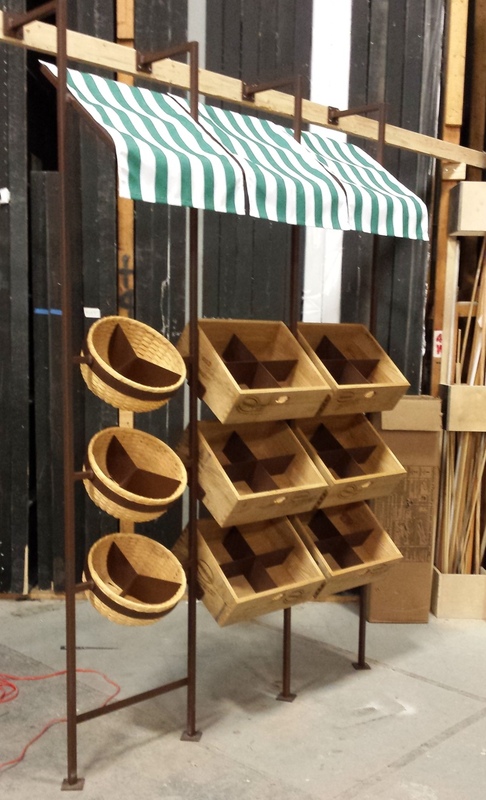 This is definitely the LARGEST custom mail basket I have ever made ~ 30” tall! 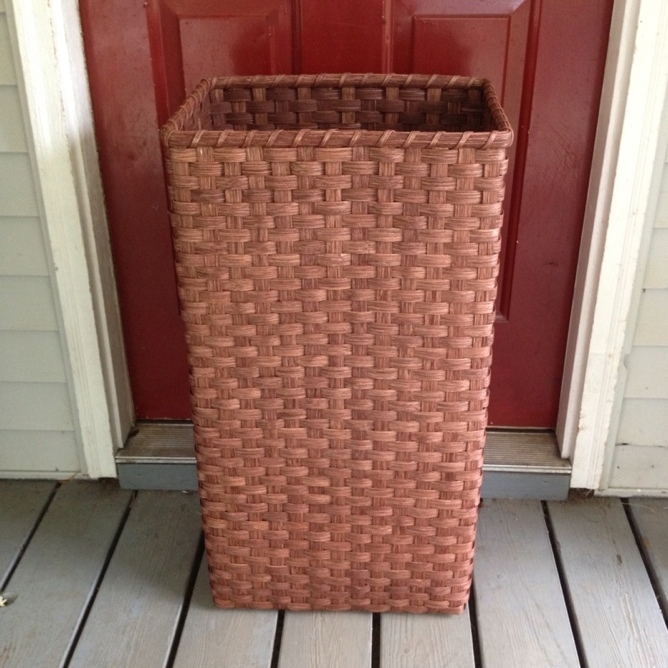 It will go under the slot in the customer’s front door ... and hopefully capture the mail before Fido does! 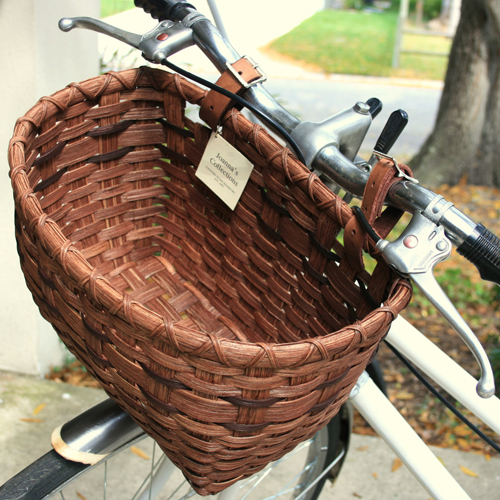 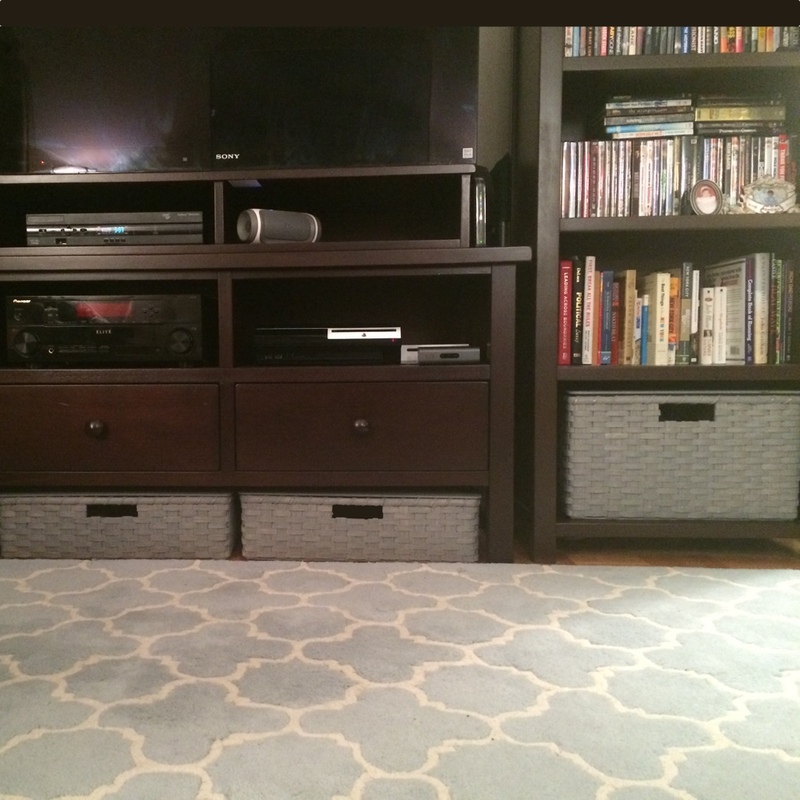 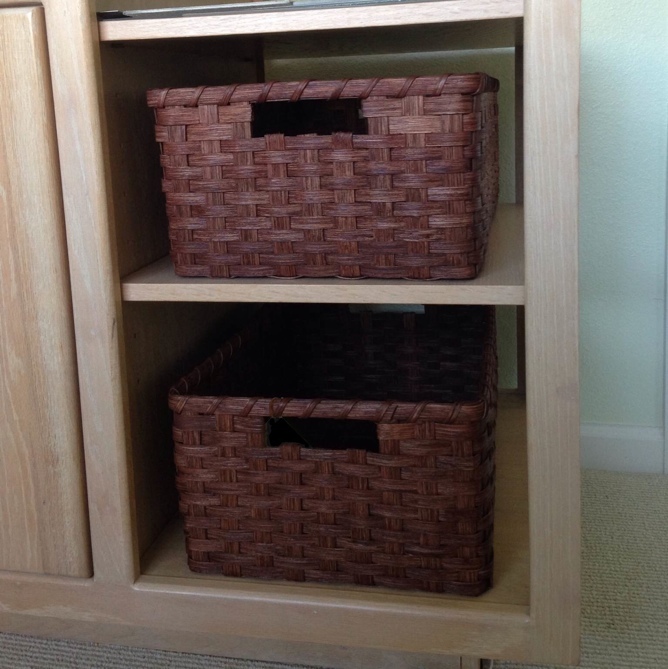 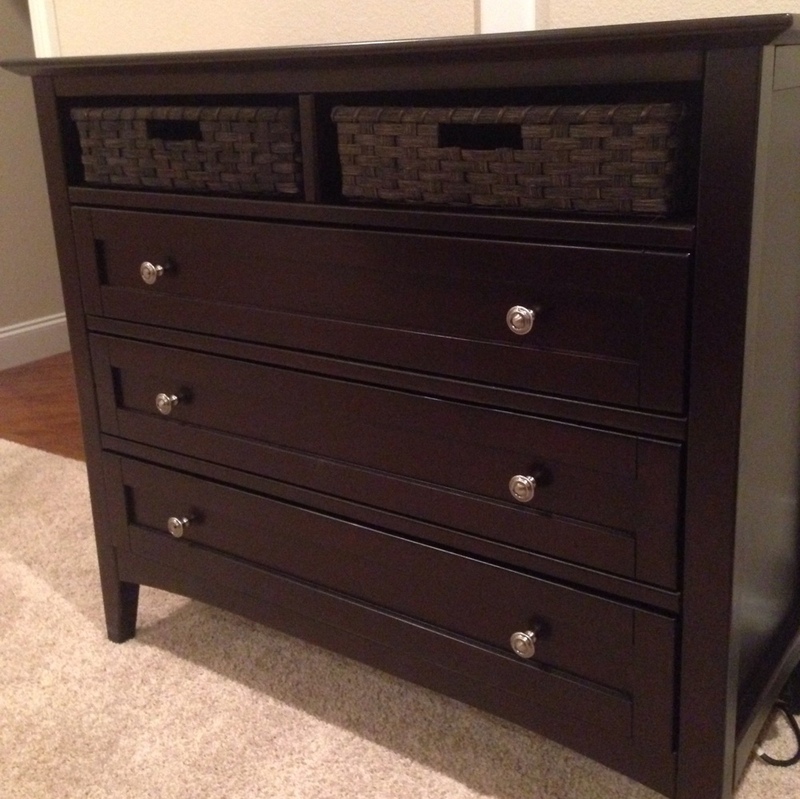 Finding the right basket for a specific piece of furniture can be very difficult. 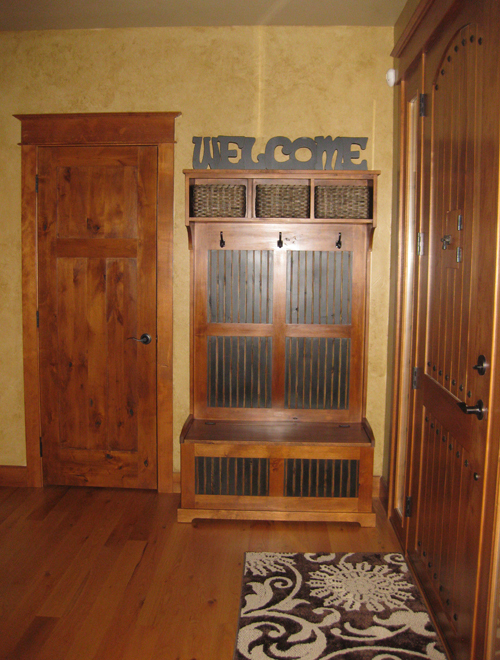 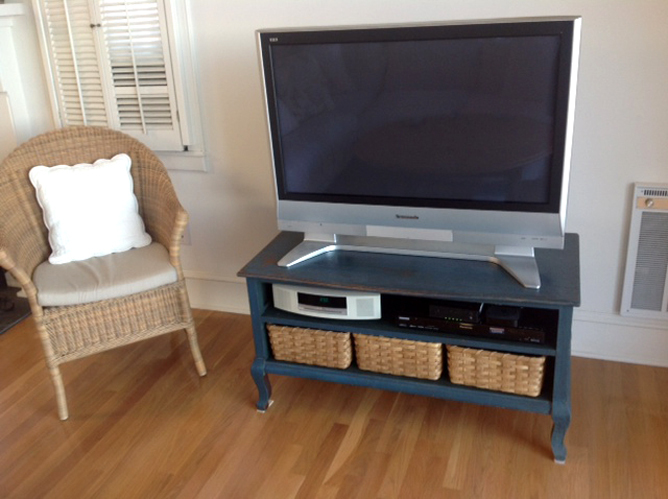 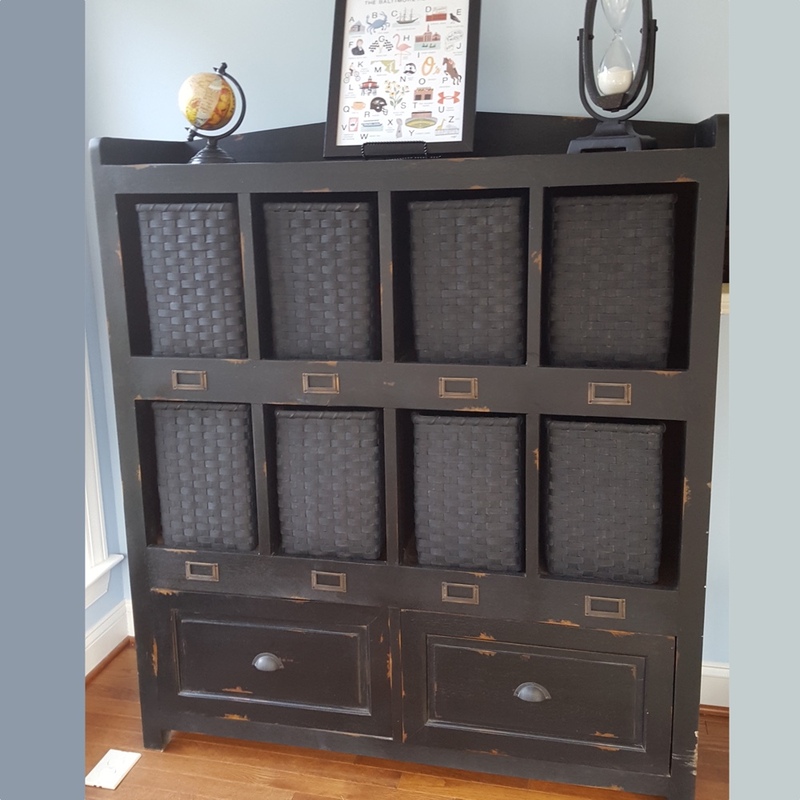 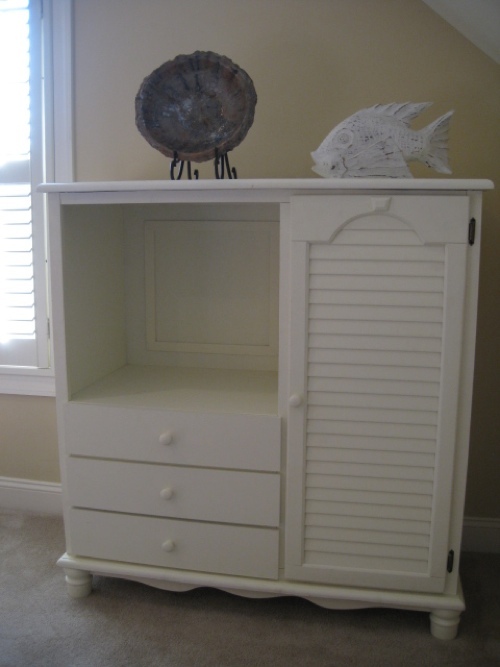 When a customer sent us a photograph of this beautiful, repurposed cabinet, we started weaving right away! 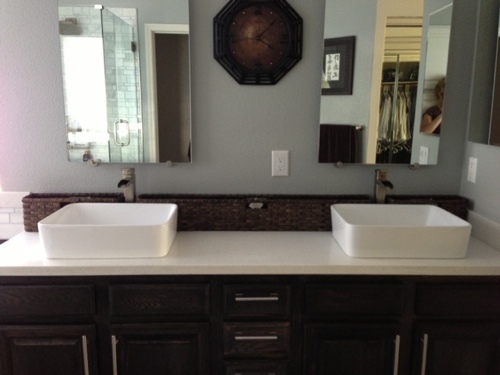 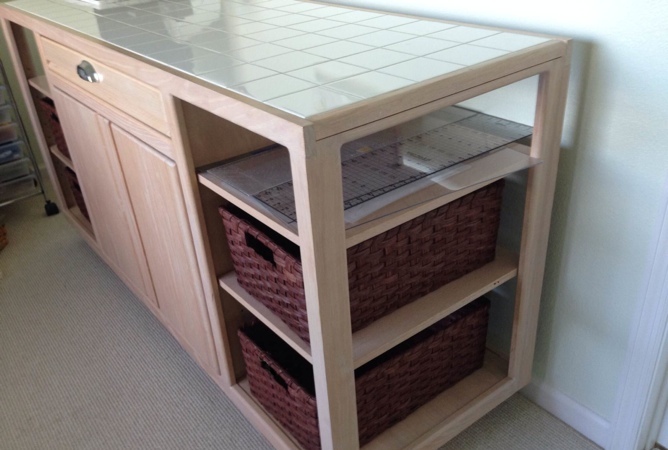 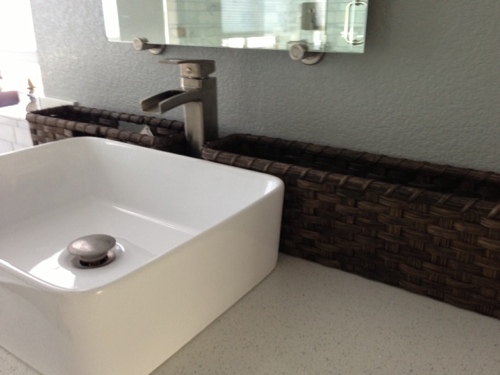 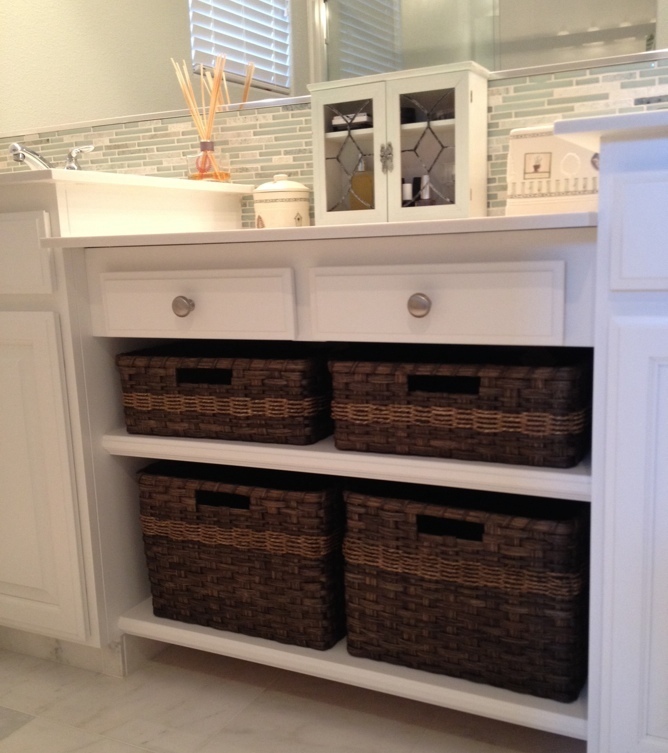 and our custom-sized storage baskets have the privilege of nestling right in behind the twin sinks. 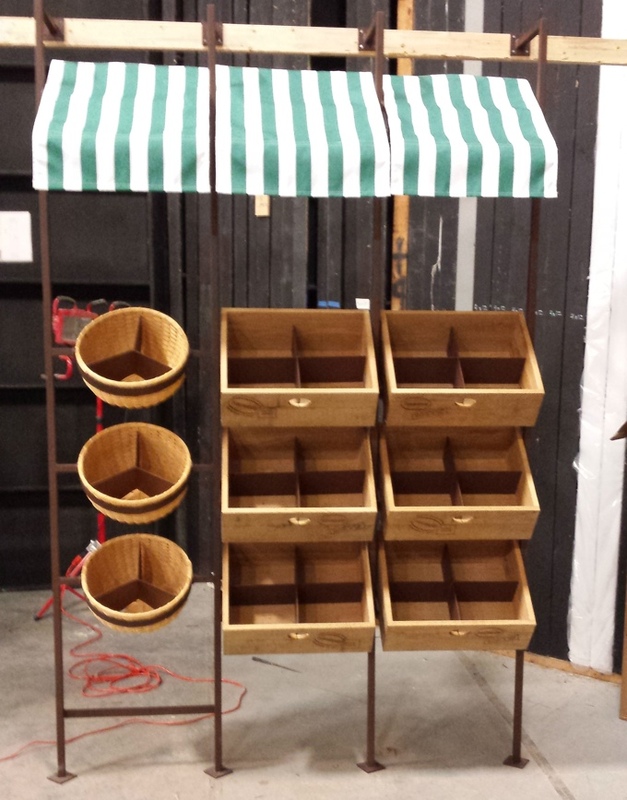 Thank you for letting us be part of this project. 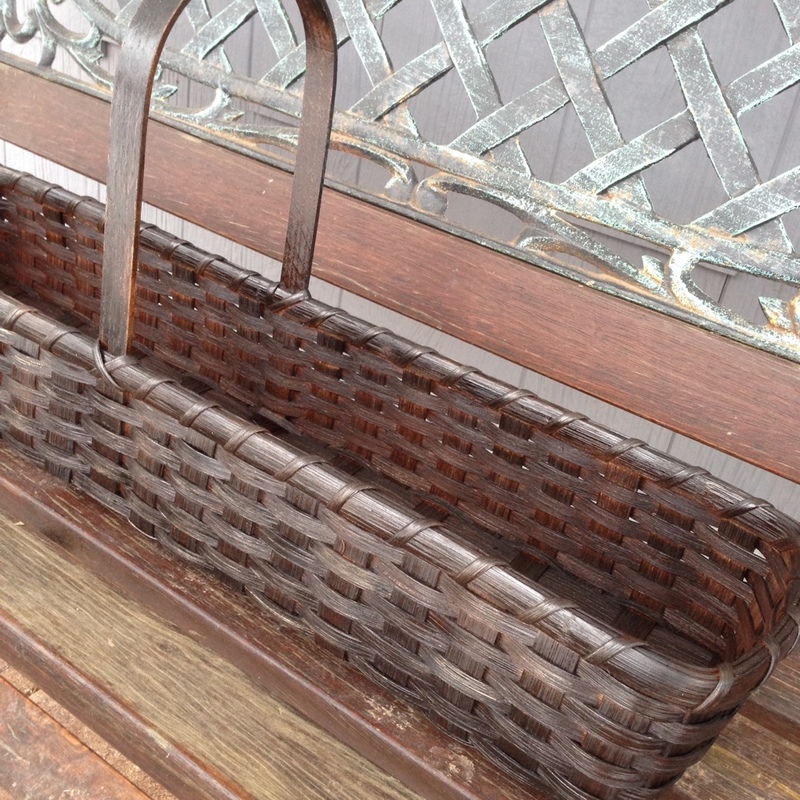 What a nice addition to the beautifully handcrafted hall tree bench built by Rachel’s father-in-law! 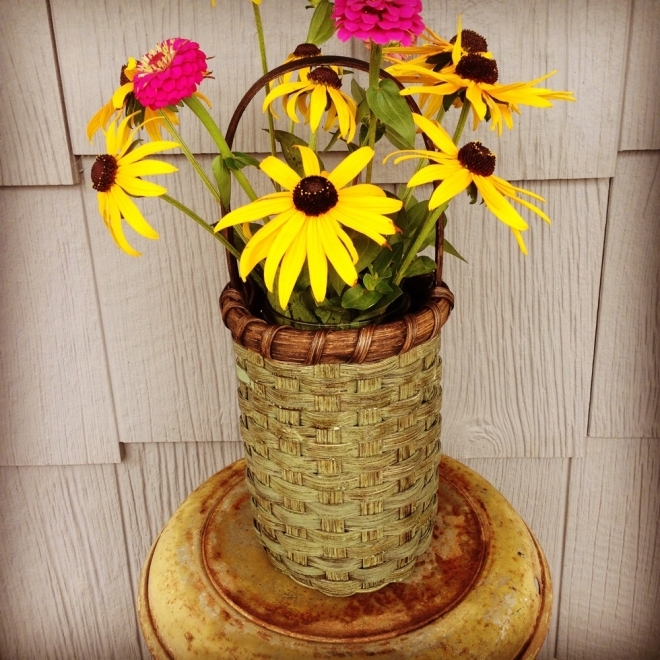 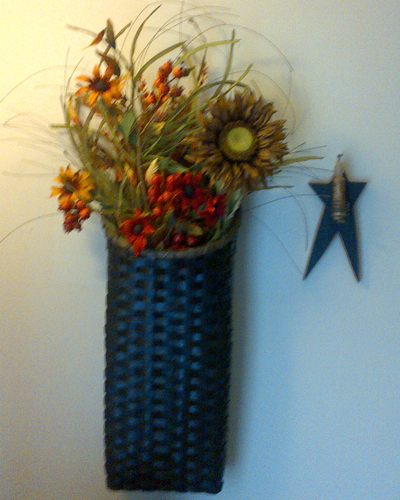 This beautiful fall display was created by one of our customers using the Grungy Tall Basket. 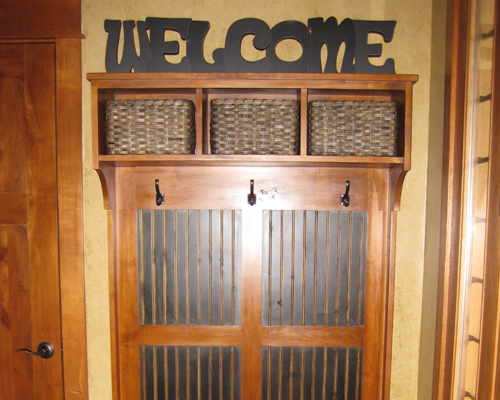 What a delightful addition to her home’s primitive decor. 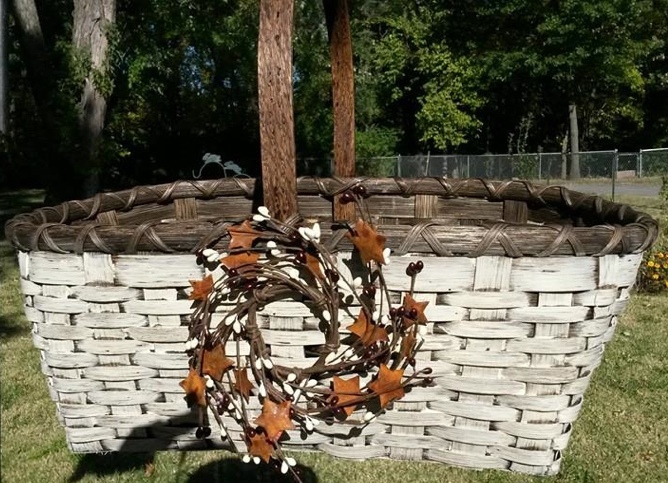 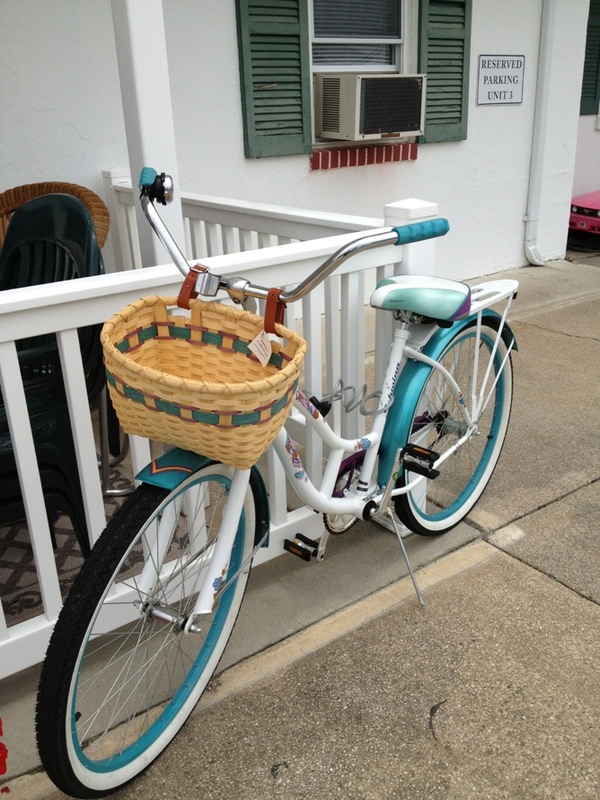 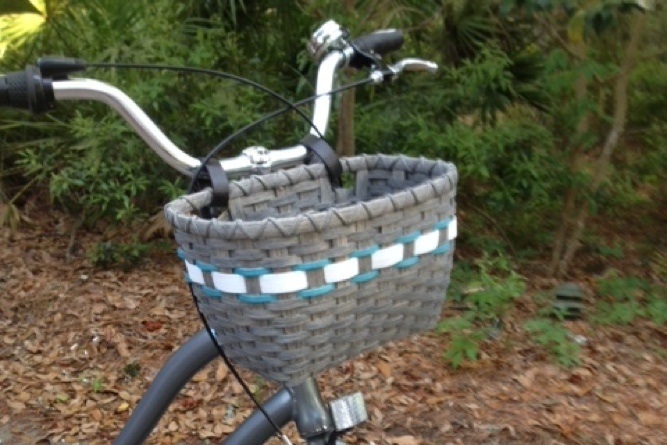 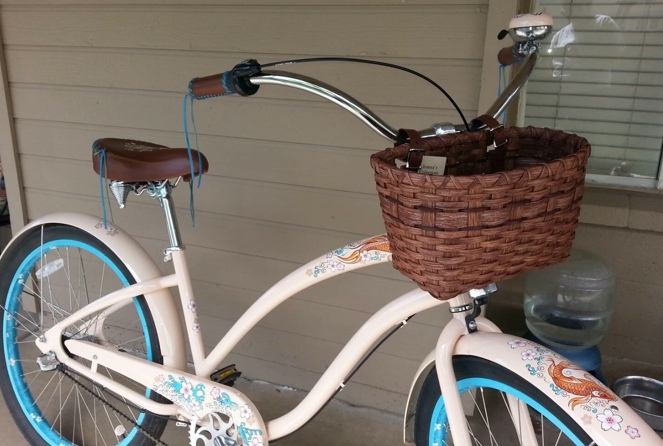 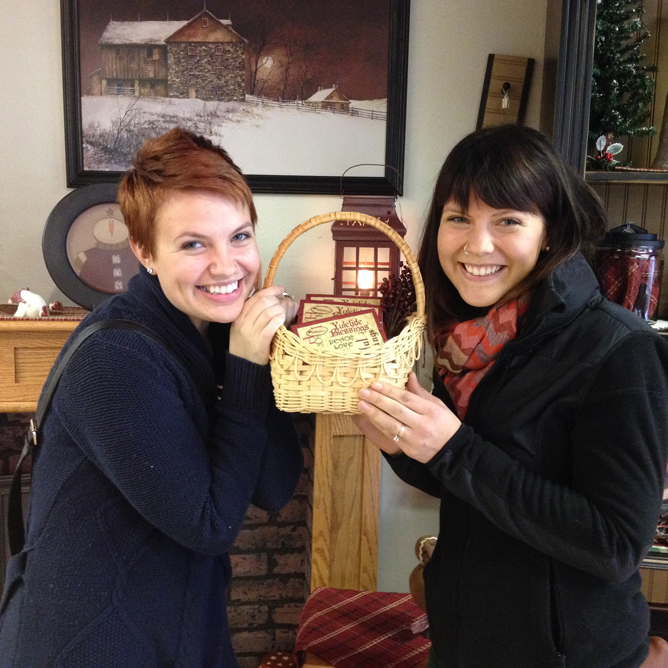 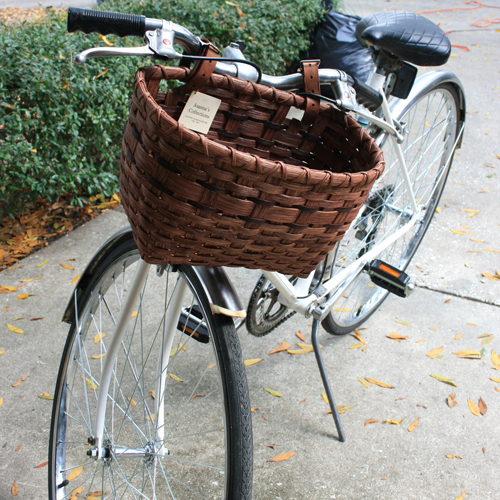 We love seeing what ideas come from our baskets, so thank you, Rhonda, for sharing your wonderful design! 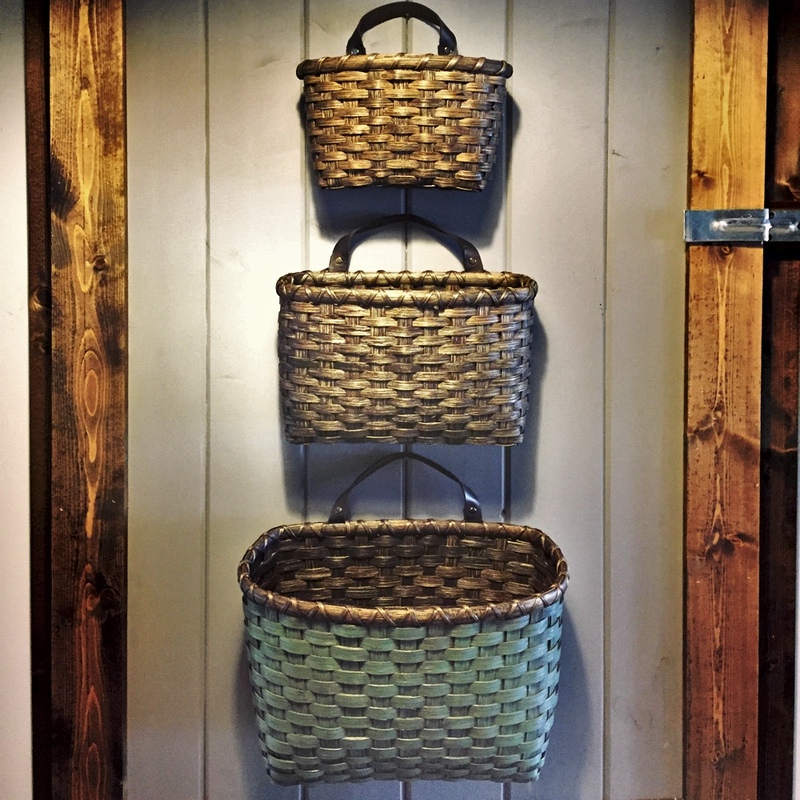 Finding just the right size ready-made baskets for your particular shelving units, hutches, cubbies or benches can be challenging. 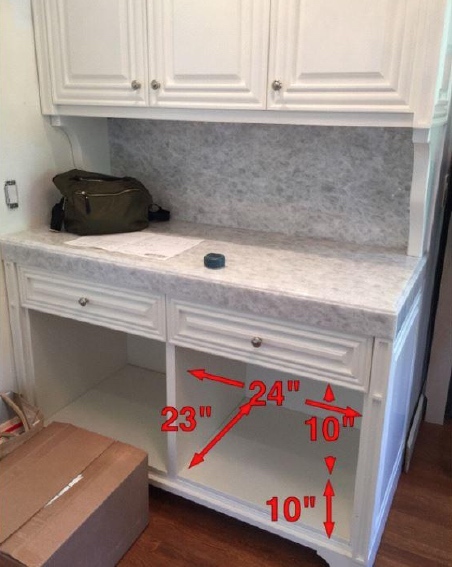 Possibly custom-sized pieces are what you need. 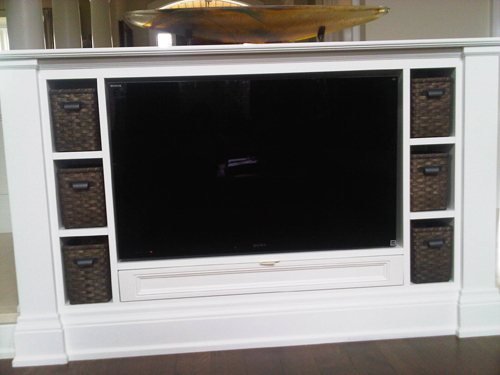 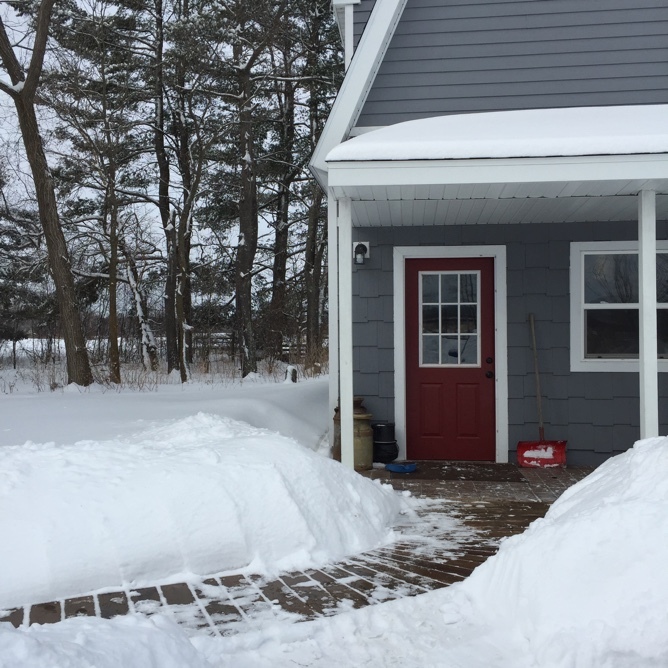 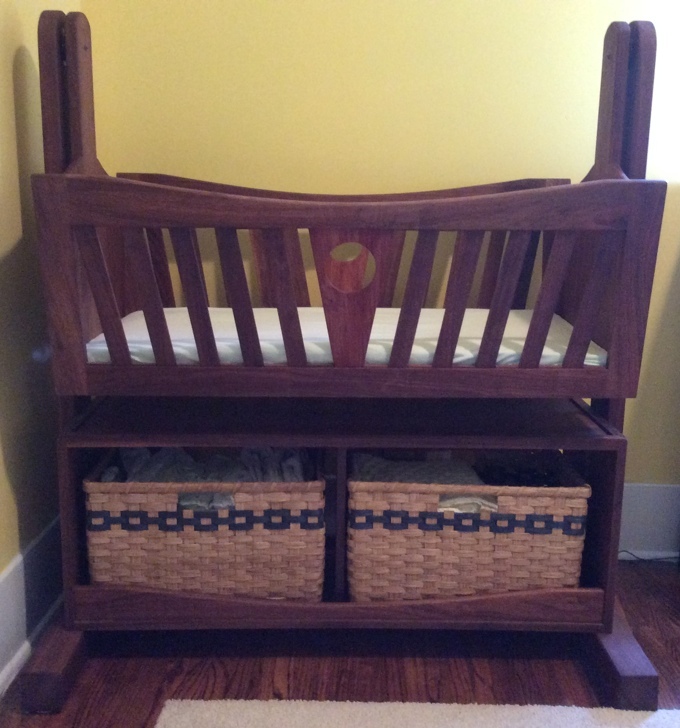 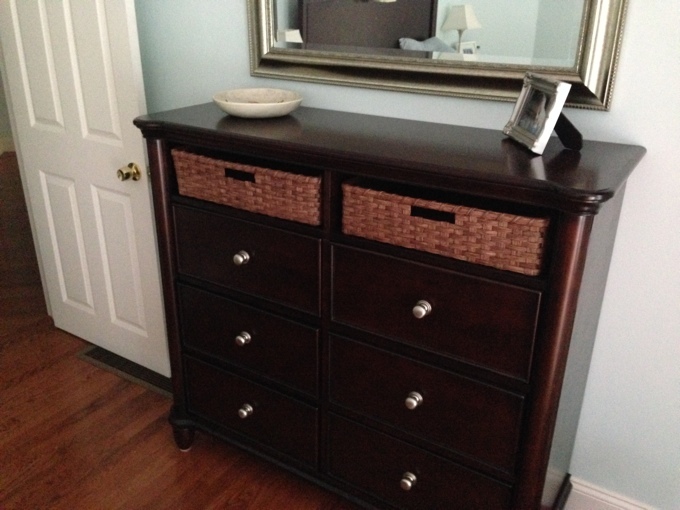 Here is a photo of a unit in a Canadian home for which I recently wove baskets.